Mike was pretty lucky this week. On a business trip to California, he woke up on East Coast time and made it to the Palo Alto Baylands Nature Preserve. 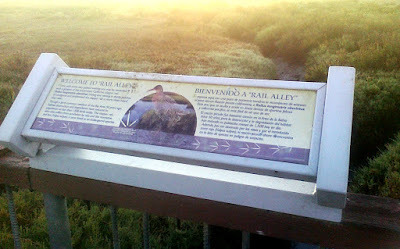 There's a boardwalk over a marsh and a small stream where the endangered California Clapper Rail has been known to live. 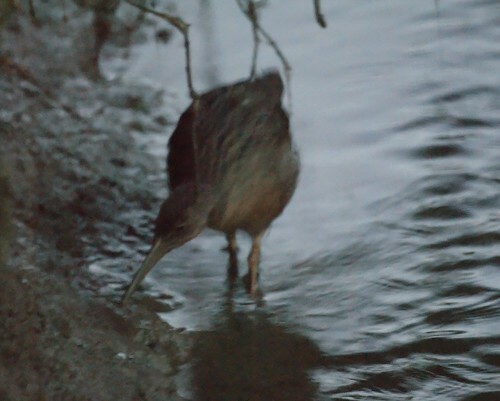 As the sun was rising, one came out of the marsh and slowly walked along the stream. It was out for at least 20 minutes, mostly when it was too dark to get a good photo but came close enough for a flash photo or two. 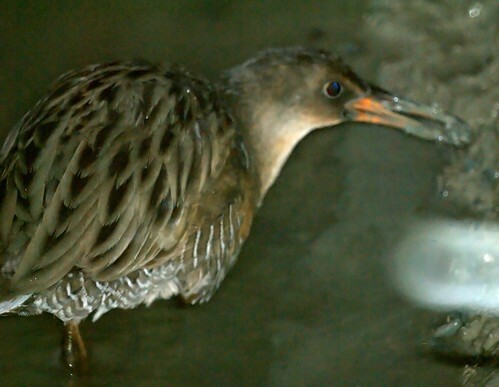 We've been pretty lucky with related birds recently, having spotted a Virginia rail in Irvine and a Sora and Least Bittern in Cape May.